Get your students excited about grayscale and value shading with this drawing lesson. 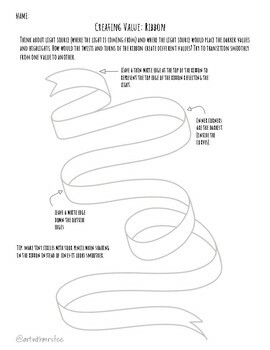 Take a simple value scale and transform that learning into a realistic drawing of a ribbon! This lesson includes options for artists of every level and ability. 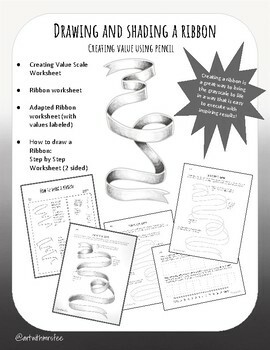 The labeled worksheet will help students fill in the values easily. 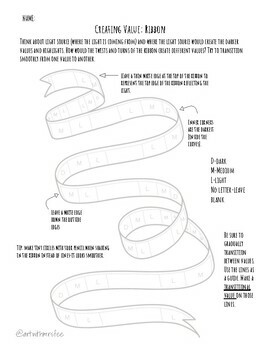 The plain ribbon worksheet challenges students to figure out where the highlights and shadows would be. 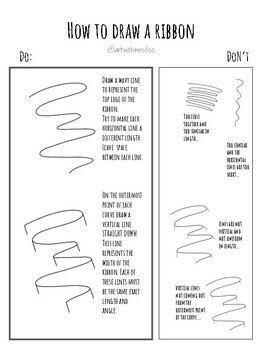 More advanced students can draw their own ribbon by following the drawing guide and then apply shading to bring the ribbon to life. Grayscale worksheet is included as a starting point for all artists.